Bryan is a computer graphics artist. His work can be viewed in our gallery. As a young girl I was always drawing, sketching and painting the paint by number pictures. Then horses move next door. And I learned to ride and show horses. I was married in 1957, had my son in 1962. I raised my son, work for an engineering company for 14 years. Later went to work with a decorating shop. I started helping people decorate their homes. I did this for 30 years. In 1984, I started art lessons with Leo Shanika and stayed with his classes until 1987. I moved around with other art teachers took some time off and started back with Leo in 1996. In 1999, I work for a lady as the secretary until 2013 and started doing my art. Art has always been my hobby and interest. Local Artist went to school in Bethalto, and graduated from Wood River. In the past he has decorated sets for plays. Designed weddings. Painted murals, design toys, designed yearbooks, and had a porcelain business. At present oil paints at Von Dell Gallery. St. Louis artist John Marcum is a native of Missouri. He is a graduate of St. Louis University. John paints in a realistic style but still avoids painting a mirror image. He says, “If the result is visually pleasing, I’m satisfied.” John is basically self- taught but has attended numerous workshops and studied with professional artist Leo Shanika for many years. John began painting in 1985 and painted in oil on canvas for many years before he discovered that painting in pastels gave him a looser look to his artwork. He now does some pallet knife painting, which creates a more heavily textured and looser look to his oil paintings. He uses either style depending on the effect he’s looking for. John has won numerous awards for his art in both oil and pastels. He prefers bright, colorful landscapes and adds more color and light whenever possible. He also does still life and portrait work, including animal portraits. His current goal is to continue to learn and improve, still striving for the illusive, “perfection”. John does commissioned art. If you would like to have a portrait, or pet, or a favorite vacation scene done you can contact him by email at jmarcumart@hotmail.com. Submit an idea or attach a photo for a price quote. Email updates can be sent to show work in progress. Prices are based on size, intricacy and estimated painting time involve. Most artwork is subject to customer satisfaction before payment. Portraits may require a non- refundable start –up fee of approximately 50%. An initial sitting for photos may be required if local. I am a self taught artist from East Alton, IL. My style runs from Impressionism to Americana (trains, Cars, blues music images, etc.) I use imagination to combine unlike subjects into new creations. Light and color are always major themes in my art. Anything goes and it is usually a spontaneous creative endeavor. Basically my painting runs like a jazz session, unpredictable, cool and fun. 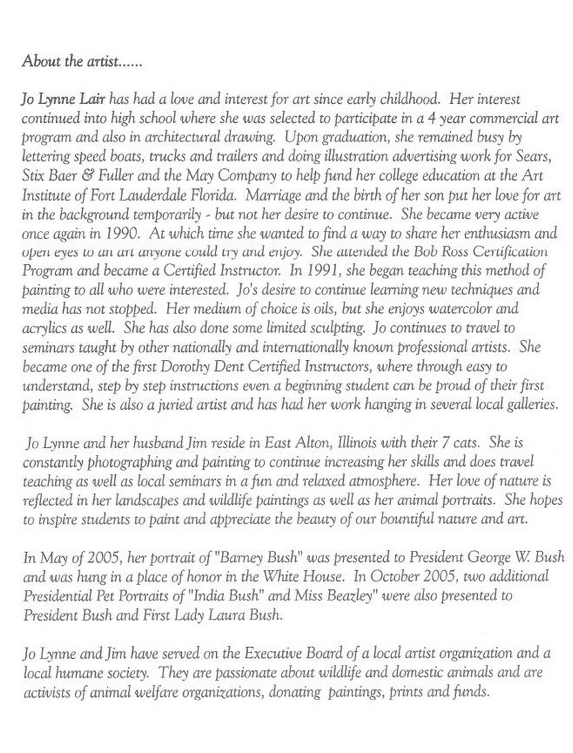 Attended SIUE and graduated with a BA in studio art and a teaching certification. After teaching several years returned SIUE to receive a MFA in studio art and later went to Truman State University and receive secondary school principalship certification. His Ceramics and sculptures have been and shows at the st. Louis Artists Guild, Foundry Art Center, and Jacoby Arts Center in addition to several local Galleries and the Artists Studio tours. 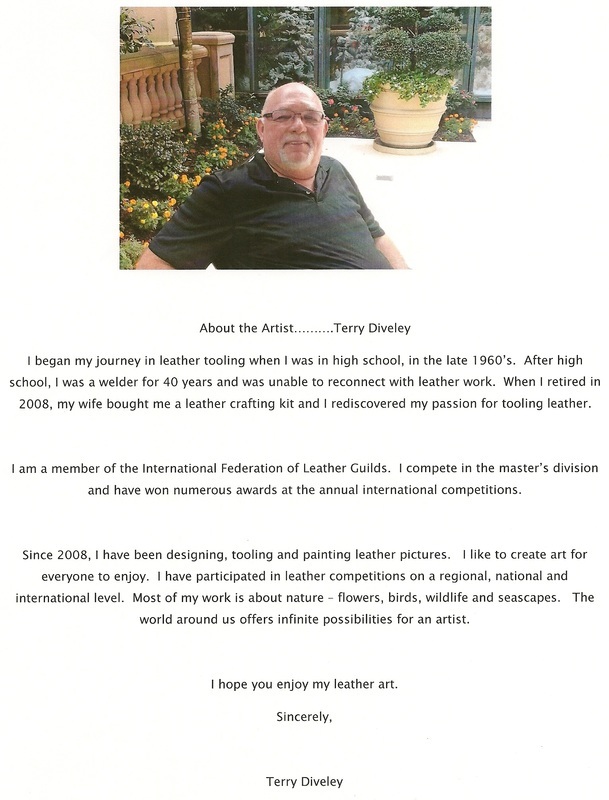 The Owner and operator of Von Dell Gallery and Studios. 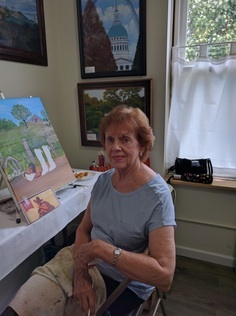 A mental health professional by trade, started oil painting shortly after his 2002 retirement by attending a local art class of Jo Lynn Lair, Mary Carola Larson, and Rita Cooper. A graduate of LCC college and SIUE, worked as an activity therapist for many years at Alton Mental Health Center. Started as the craft guy for children during Sunday school, and as a scout leader was always look for new ways to create. My mother and sisters all were creative in the arts so being the youngest it's sort of rubbed off. My art style continues in oils, mostly true to life, portrait, still life, and Landscape. Animals, and achitectural are recent additions and interest.